Love Kaleidoscope Pizzeria? Become part of the Kaleidoscope family, and bring home some of our fun, colorful merchandise! Take the Kaleidoscope experience on the road with t-shirts, totes, hats, pint glasses, and more! 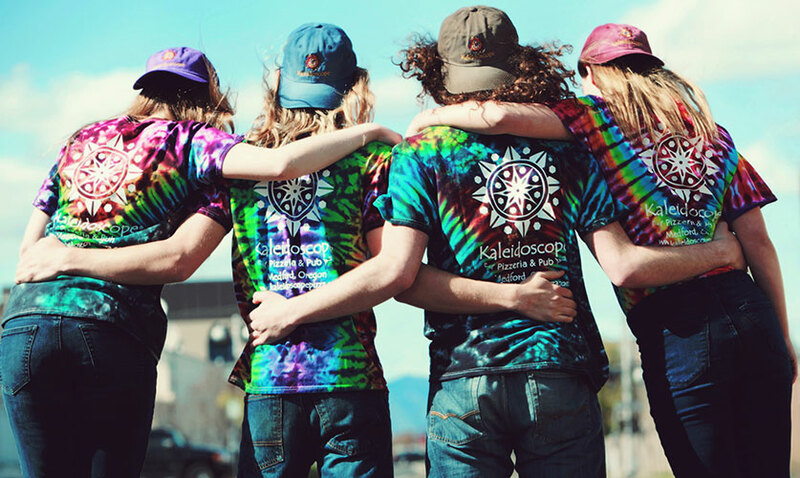 All of our tie dye shirts are 100% cotton, hand tied and made especially for Kaleidoscope. During the tie dye process, each shirt is washed in hot water and then dried in the dryer. This process is done two times to ensure almost zero shrinkage.